Daimler believes increased availability of the new E class will help boost its business in the second half. BERLIN (Bloomberg) -- Daimler expects profit momentum to build in the course of 2016 as the company reaps the rewards of an overhaul of the Mercedes-Benz E-class sedan, its most important model. Second-half growth will accelerate as currency-hedging rates improve and as more profitable higher-end models such as the E class play a bigger role in deliveries, Daimler said today in a statement in advance of the annual shareholders meeting in Berlin. The company reiterated a midterm goal of an average return on sales of 9 percent for its auto units. Last year's profit margin at the Mercedes-Benz Car division, which also includes the Smart brand, was 9.8 percent. "As in previous years, we expect the second half of the year to be significantly better than the first, with the increasing availability of the new E class and more attractive hedging rates," CEO Dieter Zetsche said in the statement. 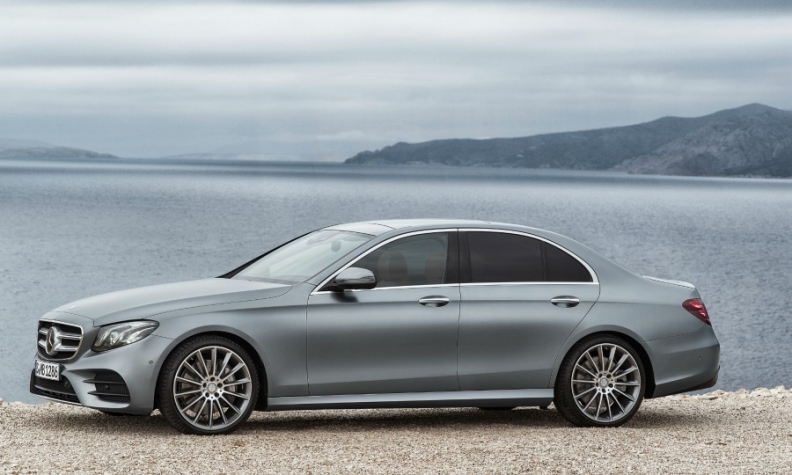 The world's second-biggest luxury carmaker started selling a new version of the E class in March, taking full circle a lineup design makeover that started in 2012 with the A-class compact car. Daimler outlined plans in February to boost spending on new technology such as autonomous vehicles and electric autos, even amid waning growth in sales and earnings. Daimler is budgeting about 7.25 billion euros this year and next for r&d following spending of 6.6 billion euros in 2015, an increase that will damp free-cash flow, the carmaker said in February. Mercedes brand exceeded sales by rival Audi in 2015 to retake the No. 2 spot in luxury-car deliveries, and it has a target to overtake BMW by the end of the decade. Mercedes is already "pretty close" to meeting that goal, Zetsche said last month. The pace of growth in operating earnings is likely to be less than 5 percent this year, following a 37 percent surge to a record 13.8 billion euros in 2015. Daimler, also the world's biggest truckmaker, is predicting sales of those vehicles will decline slightly this year, as demand fades in the U.S. and the Brazilian market shows no signs of improvement amid a deep recession. The company is due to publish first-quarter financial results on April 22.